Visitors to the Outer Banks are recreation lovers. 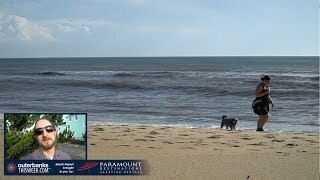 After all, with an area known for its natural beauty, why wouldn’t you want to be outside taking full advantage of every Outer Banks things to do you could think of? Perhaps the Outer Banks’s biggest draw is Mother Ocean and her surrounding sandy beaches. When it comes to things to do on the Outer Banks, the top of anyone’s to do list involves getting in or near the water. That translates into sunbathing, swimming, body boarding, skimboarding, surfing, scuba diving, shelling, sea glass hunting, shore walking…and did we mention just sitting and looking at those meditative waves rolling in? Check out the Hatteras Things To Do section and the Ocracoke Things To Do section for the scoop on the best ways to enjoy the water. Of course, the Outer Banks things to do on the sound are just as numerous as those on the ocean. Take a peek at the sound, and you almost always see someone boating, sailing, parasailing, kite boarding, stand-up paddle boarding, clamming, windsurfing, kayaking or jetskiing. Check out Nags Head Things To Do or Duck Things To Do for your water sports options. Outer Banks Things To Do on Dry Land! Feel more like a dry activity? No problem! If fishing is the ticket, there are many opportunities to wet a line with piers, bridges, shorelines, the sound, bays, offshore and inshore charters. Along a similar drift, a dolphin or sightseeing boat tour is a popular Outer Banks thing to do, and you can learn more in the Roanoke Island Things To Do section. And no equine-lover’s trip to the Outer Banks is complete without seeing the wild horses, a popular Corolla Thing To Do. Want to see as much of the Outer Banks as you can by walking, jogging or biking? Then you’ll love it here! Each town has either a designated bike path, boardwalks or back roads that are so lovely you’ll forget all about the fact that you have three more miles to go!